ST. GEORGE – Nielson RV broke ground Thursday on a new 22,000-square-foot facility located on Sunland Drive in St. George. The new facility will be the second location for the family-owned company which opened the doors on its Hurricane store in 2001. “We’re building a 7-acre facility with an option of the purchase of 5 acres here to the west,” owner Scott Nielson said. The new location will feature six 100-foot-wide pull-through bays in the service department. “We’re hoping to bring some awesome service to the Southern Utah region and be able to get these big rigs and stuff in without creating bottlenecks and tight spaces, is our goal,” Nielson said. The new location will feature sales, service, parts and up to 50 rental RVs, he said. The building and associated inventory is expected to exceed $20 million in cost, Nielson said, and the facility is being built in a way that will make it easy to expand. The new location will offer RV rentals so people can test out an RV before they buy or just take a trip in a trailer or motorhome without having to make a major purchase of one. Nielson RV currently offers more than 200 new and used trailers, motorhomes, fifth-wheels and toy haulers, general manager Katie Leavitt said in a press statement. The selection of RVs includes retro, teardrop, wheelchair accessible and expandable models. 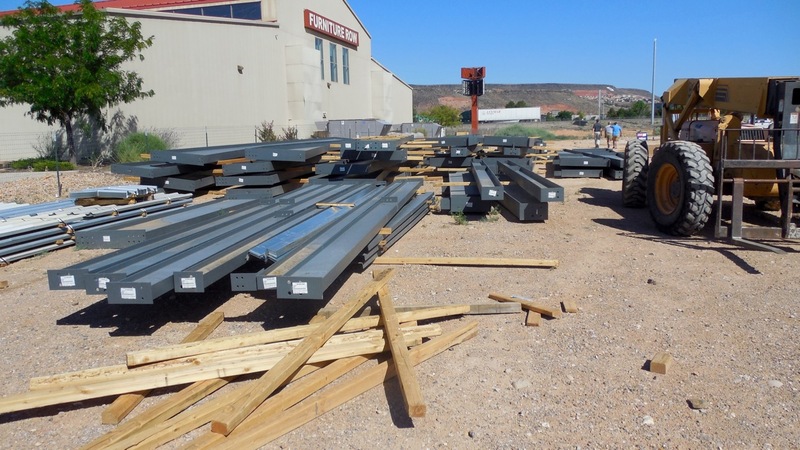 The new facility is located at approximately 400 E. Sunland Dr. in St George and is expected to open in November or December 2016, Nielson said.